Pallet stretch wrapping machines lead the industry when it comes to strength, durability and performance. They are designed to work flawlessly even in the harshest conditions. Plus, they are easy to set up, easy to operate and offer extremely tight wraps-load after load, year after year. A full range of Strapping systems. 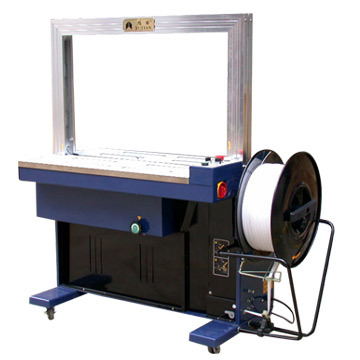 Automatic and Semi-Automatic strapping equipment for almost every industry. 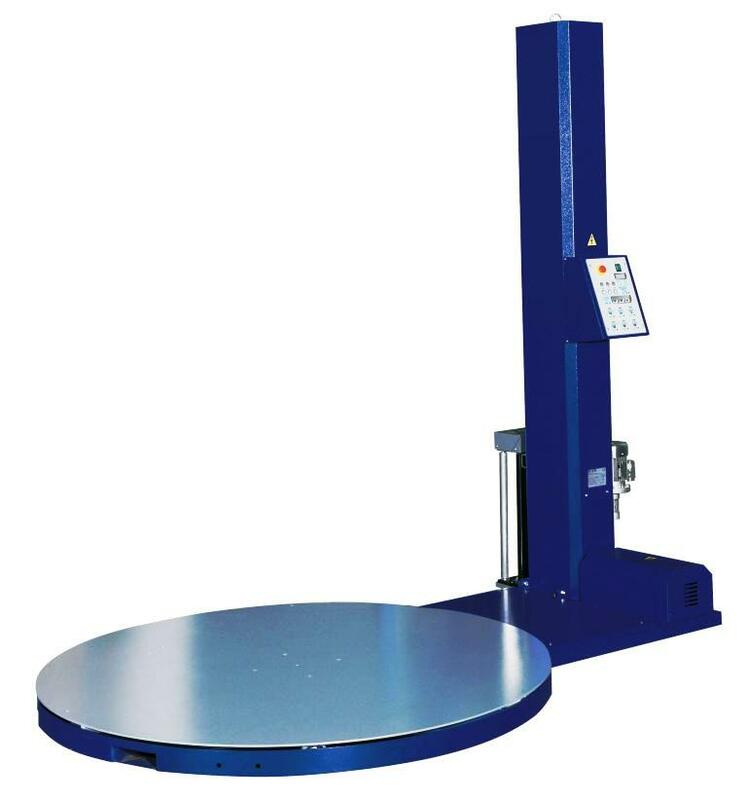 Our model range contains machines designed to strap almost any size or type of parcel in a variety of different configurations. 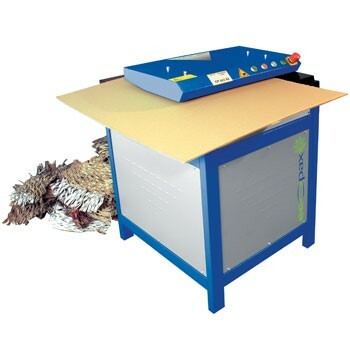 Economical and reliable, the special technique converts empty corrugated boxes, which previously cost money to dispose of, into "FREE" large volume filler material suitable for packing even sensitive goods for transport. 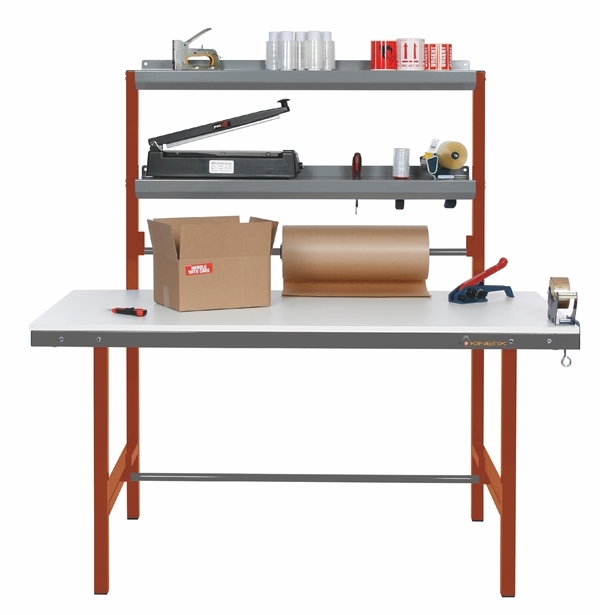 Packing Station System from £400.00. Manufactured to the very highest standards also a Bespoke modular system with add-ons to suit all requirements. Benches, roll holders, roll cutters, carton tidies. shrink packaging equipment, built with the best materials and components available including stainless steel construction to offer a long life span, superior performance, durability and reliability. These reliable, cost-effective, and durable carton sealers provide not only savings in packaging costs, but more importantly, they create a professional looking seal to complement a more productive packaging system. Materials, strapping, all tapes, machine and hand stretch film, shrink films, poly bags and sheeting, packaging dunnage and void fill, and all of your packaging machinery needs! At The Protection Packaging Company, we offer companies a whole host of packaging machinery equipment, including packaging solutions for both food and non-food items. We support companies across the whole of the UK, with locally based service engineers. We provide only the highest quality packaging equipment, to suit businesses of all sizes, with the option to purchase used equipment for those companies with a smaller budget but looking for the same high quality. As well as the food and non-food packaging machines for sale, there’s even the option to rent or lease both new and reconditioned machines. Our team are also always on hand to help with service and repairs, and we also offer scheduled contract maintenance to keep your machinery working in top condition. This service is available as part of our 24-Hour Emergency Breakdown response, to ensure as little impact on production as possible if the worst happens. You can rest assured that you are in safe hands when you consider our client history. Including names such as Marstons, New Look, and Decathlon, we have a long-lasting, reliable reputation with multinational companies. We are happy to provide companies with bespoke packages, whilst always making sure to provide you with the highest standard, and required safety accreditations. We know how important efficiency is when it comes to good business, and for this reason we continually innovate our packaging equipment solutions to always deliver the best we possibly can. In addition to the machines themselves, we also offer support packaging materials for whatever purpose you may need them. We can deliver appropriate packaging materials for all industries. For more information on our packaging equipment and machinery, please get in touch with us, and allow us to take the weight off your shoulders. Our aim is to advise and help you from a range of options tailored to suit your specific needs and budget by supplying and installing the best solutions. High quality after sales service is provided by a team of skilled technicians supporting our extended product guarantee and providing 24-hour call out and scheduled servicing. We are committed to building long lasting relationships with our customers. Registered in England No. OC333419.